At Mr. Transmission we offer different levels of service – from fluid and filter exchange to fluid and filter flush – we offer the best service needed to keep your transmission in road ready condition. 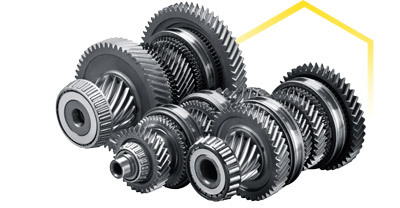 Our transmission maintenance services can help provide smoother shifting, improved performance, component failure reduction and increased vehicle longevity. Do scheduled transmission maintenance according to vehicle owner’s manual. Do have transmission fluid checked when having oil changed. Do not drive a vehicle with low or no transmission fluid. Do not change gear ranges from drive to reverse when your vehicle is moving. Do not spin tires on turns with front wheel drive vehicles. Do not drive your vehicle when there are transmission problems, as this may cause further damage. Do not drag race your vehicle, as it puts unnecessary strain on your transmission. Do not drive in 4×4 range on dry pavement, unless vehicle is all-wheel or automatic 4×4 drive. Do make sure you come to a complete stop before moving gear into another range. Do not drive on spare tires or mismatched tire sizes with front wheel or all wheel drive vehicles for extended periods of time.